Carrier Command is an FPS/RTS hybrid that is a spiritual successor to the original game, which was released in the 90's. 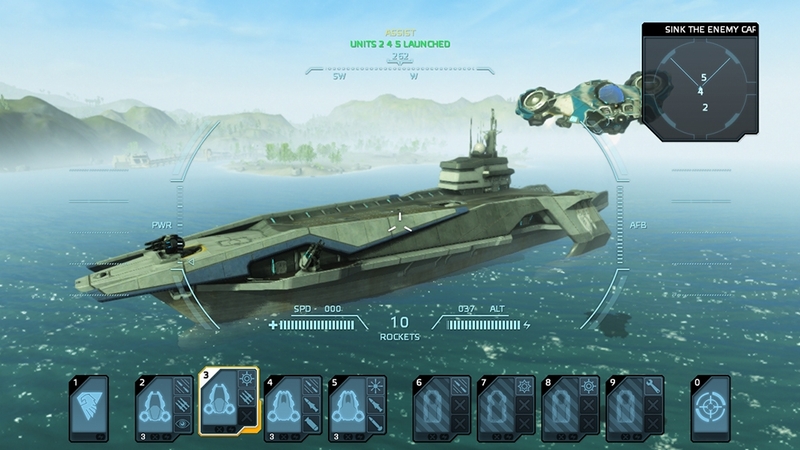 While not for everyone, Bohemia Interactive has attempted to make Carrier Command an accessible experience, but frequent visual and gameplay bugs hinder the overall experience. 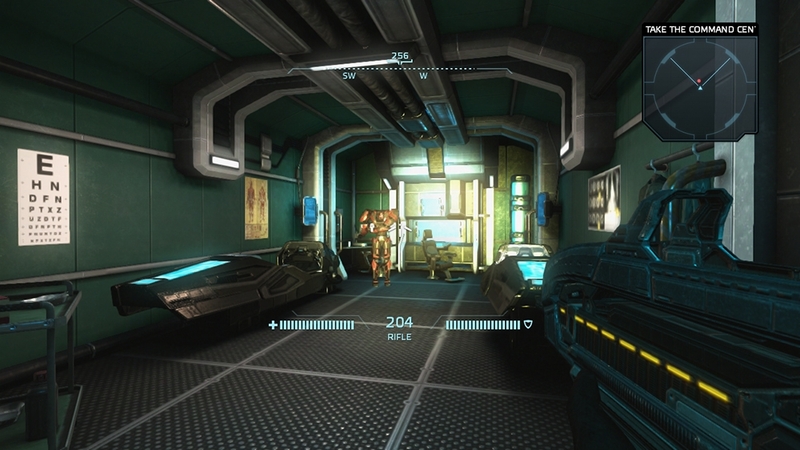 The game’s Sci-fi story features a conflict between Asian and US forces in a futuristic apocalyptic setting. 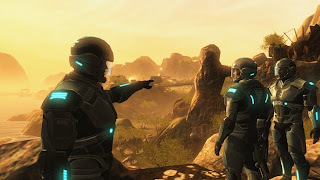 Its focuses on the view from the US force as they make their way onto the islands in the game in hopes of gathering resources and locating lost allies. If these types of games are among your favorites, you’ll be happy to know that there is plenty of content throughout, but there are issues that hold back the game including saving issues and visual hiccups. When you first start the game in Carrier Command, you’ll put placed on the island in a first person perspective, but the overall feel in this mode seems lackluster in comparison to other shooters. It’s hard to describe, but I felt small in the game, as if I was in crouch mode in the entire time. There is also animation issues that deter from the game’s tone when playing in FPS mode that detract from the experience. Once you’ve gained control of a Carrier, things become much better, which makes sense because the RTS gameplay is what this series is best known for. At your ship, you’ll be able to move to locations that better suit your attack plans, and send out vehicles to gain materials and fight enemies in your way. 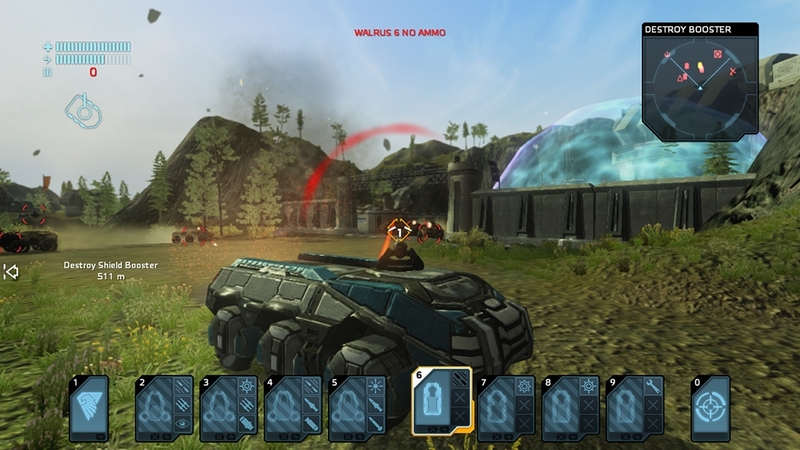 Once vehicles are sent out, control becomes in your hands, and maintenance must be considered since fuel is a factor when playing the various vehicles in the game. The bottom line is this: If you enjoy these games, give Gaea Mission a try, but either way I believe $60 is too much for such a niche title that differs from the original game and premise. I sadly wouldn’t recommend the title to others, but you never know – this was just my personal view on the game. 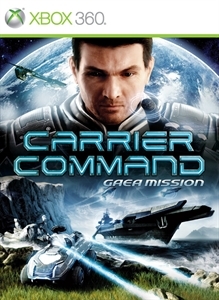 "Seize command of a futuristic military carrier and explore a large open world of a distant planet. Plan tactical assaults, order your units around the map and control them directly at any time to join in the action. Utilize both action and strategy elements to outwit and defeat your enemy in two distinct campaigns."